LASD joined hundreds of law enforcement agencies from across the world during the 35th Annual Baker to Vegas Challenge Cup relay race, consisting of 120 miles and 8,000 runners- including a team from Australia! Congrats to LASD's Countywide Division team for placing 3rd overall out of 284!! More than a month after a grandmother was run over and killed in La Mirada, authorities are still searching for the driver. The collision happened around 1:15 p.m. on Feb. 20 along Escalona Road - a short walk away from Escalona Elementary School. Chavarria was walking her grandchildren home from school when the crash happened. The kids suffered non-life-threatening injuries. 55-year-old Timothy Dean, who died in January at the West Hollywood home of prominent Democratic donor Ed Buck, overdosed on methamphetamine and his death was ruled accidental. 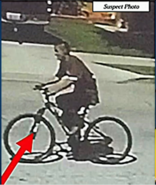 The man was riding a mountain bike with oversized wheels and a white sticker on the front tire. Police said he's believed to be a 30-year-old Hispanic man with a shaved head, last seen wearing dark clothes. 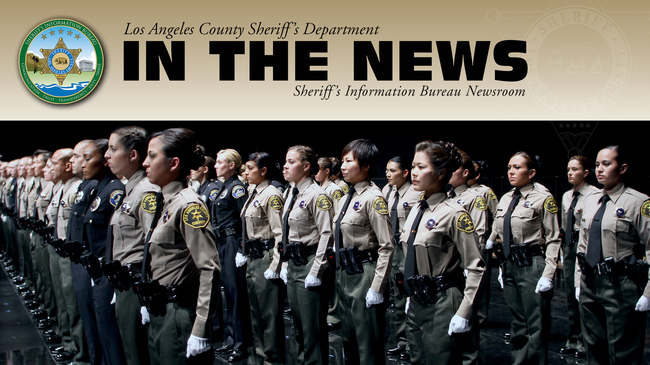 Spectrum News 1 SoCal produced this story on the LASD HOST Team's efforts to build trust and relationships with the San Gabriel Valley's homeless community. The improved trust and rapport has proven to lead to more successful connections to services, in turn ending homelessness for more persons in this region of LA County. Samantha Bustos was identified as the girl who's body was discovered around 1:30 a.m. on Victoria Street, east of Wilmington Avenue. Investigators said she sustained a traumatic injury to her upper torso, but the exact cause of death has not been released. In addition to this bust, Sherlock previously helped deputies find about $80,000 worth of methamphetamine and heroin allegedly destined for L.A. County jail facilities during two separate busts in October.